This ultra slim case is only 0.6mm and fits your Samsung Galaxy S6 like a skin. Super low profile protection with high quality soft, flexible TPU/rubber material. Protect what you love with LUVVITT® top of the line accessories and Wrap It Before You Tap It! Clear, highest quality Bayer branded flexible TPU rubber material. Snug like a skin. No bulk or weight. Comfortable fit and feel in hand. Intended for scratch protection along with minor bumps. More than just a case for your Samsung Galaxy S6. Highest grade, premium materials backed with impeccable LUVVITT® support and LIFETIME warranty. 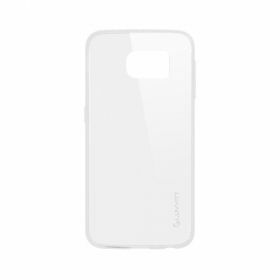 LUVVITT® CLEAR GRIP case for Samsung Galaxy S6 combines high clarity with absolute grip and cushioning. The ruffled sides of this Galaxy S6 case provides excellent grip while it's ergonomic design ensures comfortable fit and feel in hand. Reinforced air pockets inside four corners of the bumper, combined with the unique multi-direction pattern inside the back cover that absorbs and distributes the shocks will provide the best drop protection for your Galaxy S6. While most Galaxy S6 cases provide a 0.6mm to 1.00mm lip over the screen, LUVVITT® CLEAR GRIP features a 1.2 mm lip for additional protection. 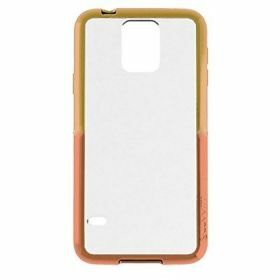 In addition, raised bumper guard corners of the case elevate both faces of your Galaxy S6 phone which means protection for the screen as well as the camera. Protect what you love with LUVVITT® top of the line accessories and Wrap It Before You Tap It! Transparent, high-quality, clear Bayer branded flexible TPU rubber material. Ruffled sides of this Galaxy S6 case provides excellent grip while it's ergonomic design ensures comfortable fit and feel in hand. 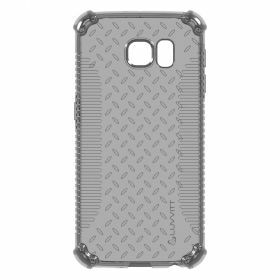 Reinforced air pockets inside four corners of the bumper, combined with the unique multi-direction pattern inside the back cover that absorbs and distributes the shocks provide the best drop protection for your Samsung Galaxy S6 phone. 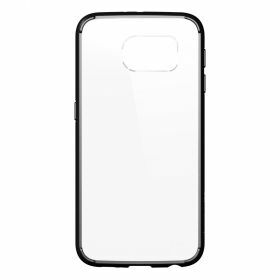 Raised bumper guard corners of the case elevate both faces of your Galaxy S6 phone which means protection for the screen as well as the camera. Combination of army grade protection with absolute grip and form-fitting design. 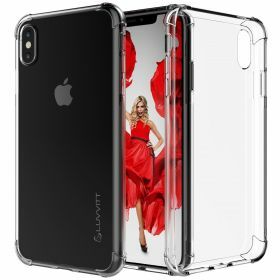 3-piece design consists of a rubber inner layer, a hard shell outer cover and a built in screen protector. Ruffled sides of this Galaxy S6 case provides an excellent grip while it's ergonomic design ensures comfortable fit & feel in hand. Reinforced air pockets inside corners of the bumper, combined with the unique multi-direction pattern inside the back cover absorbs and distributes the shocks and provide the best drop protection for your Galaxy S6. 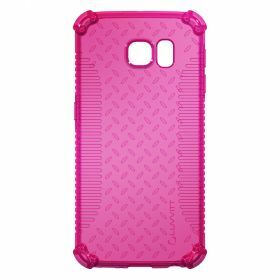 Raised bumper guard corners elevate both faces of your Galaxy S6 phone which means protection for the screen as well as the camera. 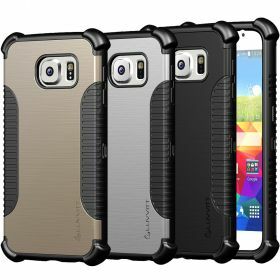 Flexible TPU rubber inner case + hard polycarbonate outer cover. Ruffled sides of this Galaxy S6 case provides excellent grip & it's ergonomic design ensures comfortable fit & feel in hand. Reinforced air pockets inside four corners of the bumper + unique pattern inside the back cover absorbs and distributes the shocks provide the best drop protection for your Samsung Galaxy S6 phone. 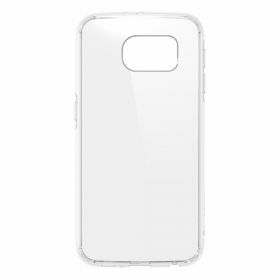 Raised bumper guard corners of the case elevate both faces of your Galaxy S6 phone which means protection for the screen as well as the camera lens.